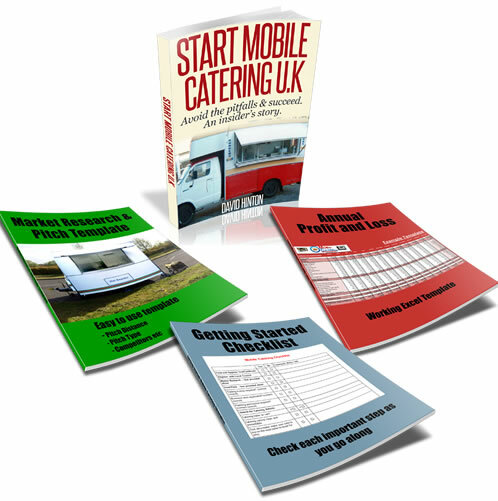 1) After having done catering for sometime now, would you advise someone just starting up to buy a Catering trailer, or a Catering van? 2) I'm not really sure which is the most appropriate sort of fridge to get, LPG or run from a generator? 3) Finally, I see lots of Catering vans set-up in Laybys on major roads. Is this because you don't require a License or permission to set-up a pitch in a lay by? My first catering van was around 10x6 and it made me the same amount of money as a bigger 12 foot trailer, so it really does not matter. Obviously the bigger trailer can hold more equipment and for that fact, is more convenient. But ultimately it does not make that much difference when you’re starting off. Also my 10x6 catering van which is probably slightly smaller than a trailer had in it a fridge, freezer, glass display drinks fridge, griddle and a 4 hob cooker top, so you should do just fine. For catering trailer rentals try www.ajc-trailers.co.uk/hire they are based in Luton which is closer than Hull. All rental trailers will conform to health and safety regulations and will come with all the gas and electric certificate so will not have to worry about sinks being the right kind. For your information twin basins are normally required for food and hygiene purposes. Hope this helps you out and the best of luck with your new business. Great Advice About Using All LPG if Possible. Once again, great advice about using all LPG if possible. 1) You seem to favor renting a trailer initially (which makes sense), would you say there is an optimum size to go for initially? I'm going to be working on my own (menu - Burgers, Hotdogs, Drinks etc), so was thinking that a 10x6.5 foot trailer was the way to go. My only worry is will I be able to get all the equipment that I would need in that size (Fridge, Drinks Fridge, etc)? 2) I found this company in Hull that rents trailers www.cateringtrailerhirehull.co.uk and was wondering if you knew of a company nearer to SW London where I live? 3) To comply with health & safety regs, does it require two sinks? or is a double basin sink okay? Well thanks in advance, I decided to bite the bullet and do this after reading your site. Starting your own business is daunting especially when coming from being employed. But you will be learning a whole different set off skills that YOU never learn while working for someone. 1) With regards to your questions I would go with a catering trailer as you will be able to trade in more locations. Some sites don?t let you trade with a catering van because of the combination of fuel and LPG. This has happened to me and I was turned down for some pitches when I first started with my catering van. 3)With permission this really depends on the council in your area that you intend to trade in as each has different requirements. People who usually trade for any period of time will have some sort of permission to be there. Hope this answers some of your questions and best of luck with your new business.